The Chatham law firm of Blume Forte Fried Zerres & Molinari helps clients obtain just compensation after suffering losses or damages due to the negligence of others. Our attorneys have been helping clients since 1929, and we have obtained many million-dollar verdicts and settlements for our clients — more than any other law firm in New Jersey. Whether you were injured in a car crash or a loved one died because of medical malpractice in Morris County, NJ, we can help. Call Blume Forte at (973) 635-5400 to schedule a free initial consultation at our Chatham office. You may also use our online contact form to make an appointment with one of our experienced Chatham personal injury lawyers. We also handle legal malpractice cases, helping people who experienced losses and damages because of an attorney’s negligence. Many of our lawyers have received certification from the Supreme Court of New Jersey in Civil Trial Law. 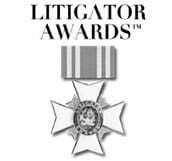 The NJ Supreme Court awards this certification only to lawyers who completed required continuing legal education (CLE) courses, who have passed an exam, and who can show an unblemished record. In addition to being certified in Civil Trial Law, our attorneys have been recognized by legal ranking and rating organizations such as Super Lawyers, Best Lawyers, Avvo, Best Law Firms, and Martindale-Hubbell. 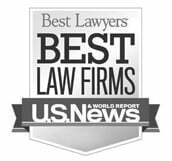 Although the listings or rankings are based on different criteria, together they show the significance of our law firm in Chatham, in Morris County, and throughout all of New Jersey. If you or a loved one was injured or damaged, or if you lost a family member because of negligence, get help today. Call 975-635-5400 or complete our online contact form to schedule your free initial consultation with a Chatham personal injury lawyer at Blume Forte Fried Zerres & Molinari. We have an office location in Chatham, New Jersey. Chatham is actually two municipalities, Chatham Township and Chatham Borough in Morris County, New Jersey. The combined population of the two municipalities is around 20,000. The two share public services, including a school district, library, medical emergency squad, and recreation program. The two jurisdictions, along with Madison and Harding Township, also share a municipal court, which was created in 2010. The shared schools in Chatham Township and Chatham Borough include four elementary schools, two middle schools, and one high school. The high school is ranked among the top 20 in New Jersey. There are also several private and parochial schools in Chatham, NJ. New Jersey Transit provides commuter service from the Chatham station to both Hoboken Terminal and Penn Station.